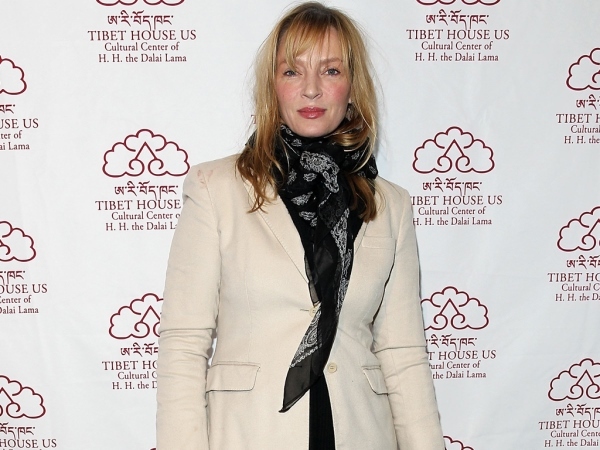 Uma Thurman reunites with ex? Uma Thurman and André Balazs are "are officially a couple" say sources. The US actress split from Arpad Busson last April after seven years together. They have two-year-old daughter Rosalind (known as Luna) together, with the split apparently turning bitter. However, it seems Uma's ex André has been a shoulder to cry on. The pair were also linked last August, but friends say this time it's the real thing. "Things with Arpad seem to have got very acrimonious, especially surrounding custody of their daughter. André has been really supportive. He'll have been telling Uma all the things she needs to hear - like how he's never got over and she is the love of this life. At first she seemed unsure, but now they are officially a couple," an insider told British magazine Grazia. Uma first dated André in the wake of her 2005 divorce from Ethan Hawke. André had also just split from his wife Katie Ford, former CEO of Ford Models Inc. The suave businessman has dated a string of Hollywood beauties since things ended with Uma in 2007, including Renée Zellweger, Cameron Diaz and Sharon Stone. He's most recently been linked with pintsized popstar Kylie Minogue, though the source claims he and Uma are very much back on now. It's reported that André whisked Uma off to his Shelter Island resort in the Hamptons and has been lavishing her expensive gifts. Uma (44) also has children Maya and Levon with Ethan, and recently spoke about how much she loves being a mother. "I've never had any problems with disciplining my children. They are so smart and intelligent that I never had trouble communicating with them. They're much smarter than I am and better behaved. And, thank God, they're funny, too. It would be intolerable to me to have a humourless, boring child - I'd have to send it back," she told British magazine Hello!